French President Francois Hollande was handed his first major political defeat on Saturday when the Constitutional Council overturned his proposed 75 per cent tax on the wealthy. Hollande had earlier in the year proposed a 2013 budget aimed at recouping 30 billion euros ($39.6 billion) of the public deficit as France faced growing unemployment and a slowing of economic growth. By introducing the 75 per cent levy on households that make more than 1 million euros ($1.32 million) – a measure that some financial analysts say is the most drastic austerity measure in decades – Hollande had hoped to slash the deficit from 4.5 in 2012 to 3 per cent in 2013. Opposition parties, led by Union pour un mouvement populaire (UMP), cried foul and urged the Constitutional Council – the highest court in the country – to examine whether the tax hike was constitutional. The Council ruled that the measure was “excessive” and represented a “breach of equality of taxes”. It also said the tax hike was unfair in the manner it would be applied to different households. In the meantime, Hollande’s government appears to be staying the course. In a statement released to the media, Prime Minister Jean-Marc Ayrault described the ruling as a “symbolic but not severe censure”. “The government will propose a new system that conforms with the principles laid down by the decision of the Constitutional Council. It will be presented in the framework of the next Finance Act,” he said in the statement. The EU and IMF are urging France and other countries to focus on reforms rather than severe austerity measures. They say that Hollande’s 75 per cent tax on the super-rich would succeed in reducing the deficit if France is able to reach 0.8 per cent economic growth rate in 2013. 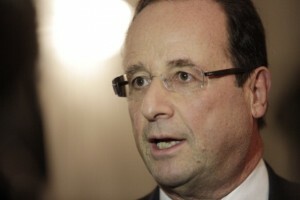 France’s economic growth was held at 0.1 per cent in the third quarter of 2012.